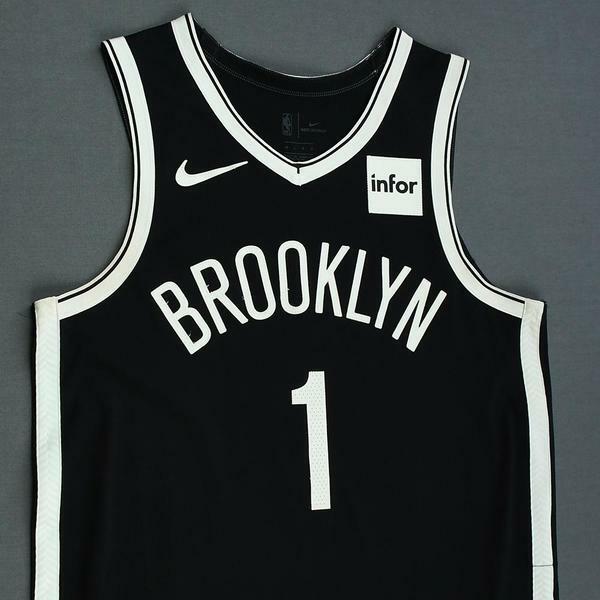 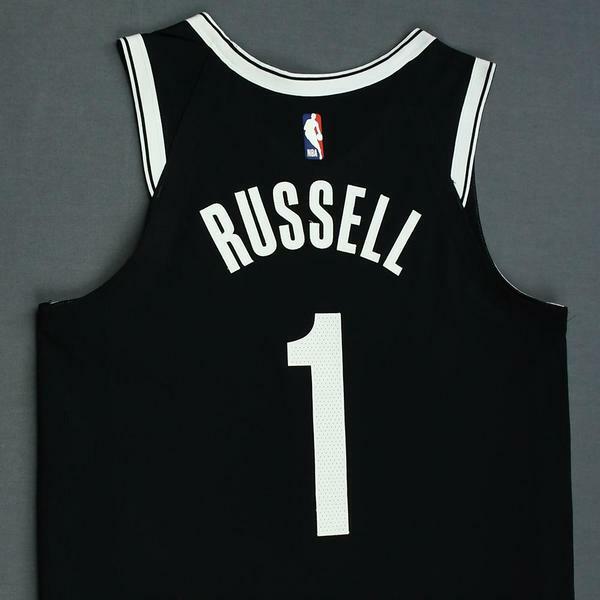 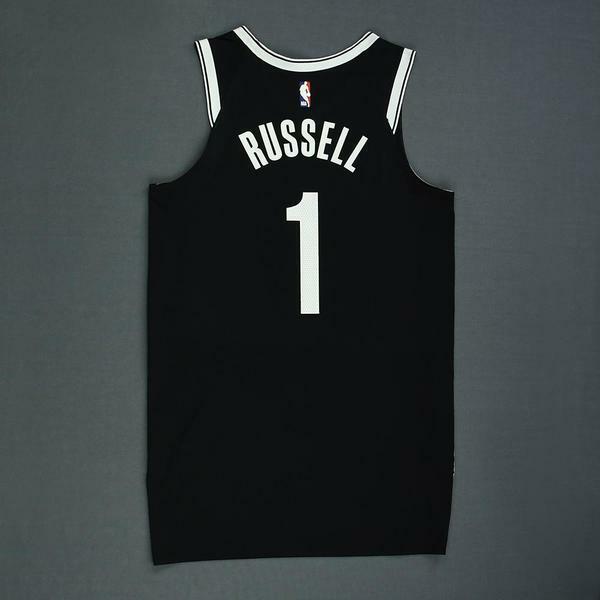 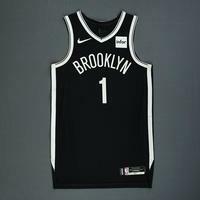 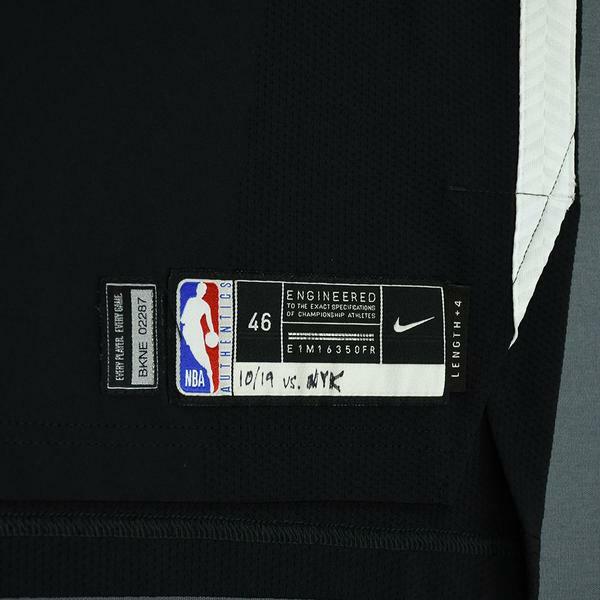 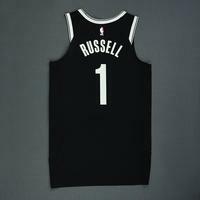 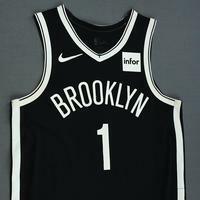 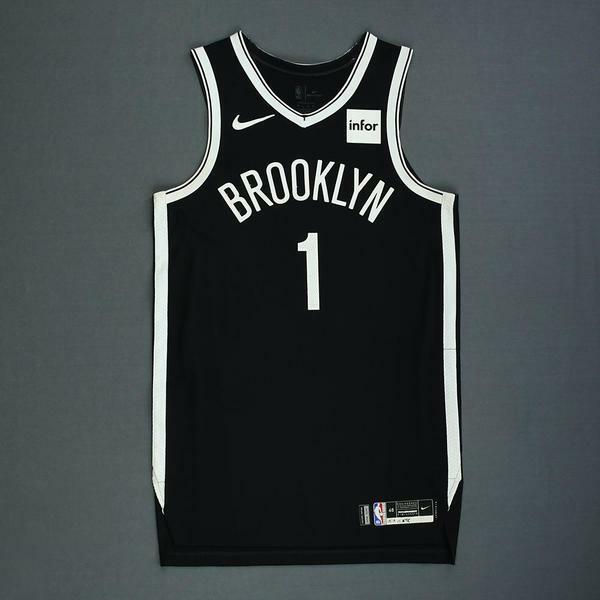 Russell wore this jersey during the Nets' 107-105 victory over the New York Knicks on October 19, 2018 at Barclays Center in Brooklyn, NY. 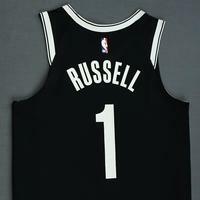 He played 34 minutes and registered 15 points with 6 assists, 5 rebounds, 1 steal and 1 blocked shot. "10/19 vs. NYK" is handwritten on the jock tag.